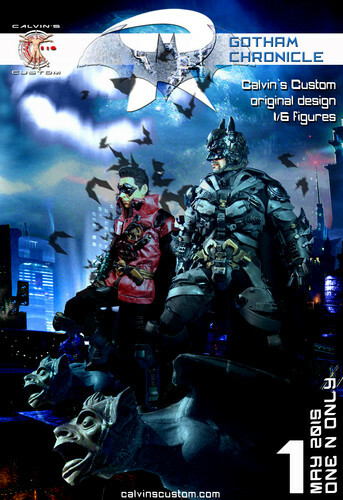 Calvin's Custom 1/6 One Sixth Scale Gotham Chronicle: Batman. Calvin's Custom 1/6 One Sixth Scale Gotham Chronicle: Batman. HD Wallpaper and background images in the Batman club tagged: photo calvin's custom calvinscustom one sixth 16 gotham riddler batman joker custom figure customizer calvin lo calvinlo d.c.comics dark knight. This Batman photo contains anime, fumetti, manga, and cartoni animati.